The European Union imposed a record fine of 2.420 billion euro – $2.720 billion – against Google for taking advantage of its dominant position in online searches to guide customers to their own Internet sales business. The EU gave the company in Mountain View, California a 90-day deadline to quit that practice or face fines of up to 5 percent of its parent company’s Alphabet average daily income. The European Commission, which determines the EU’s antitrust rules, claims that Google, raises the results of its procurement service although other options may have better offers. According to the Commission, the Internet giant “gave prominence in its search results only to its own shopping comparison service, while relegating rival services”. This stifled competition based on the merits of the products in the comparison market prices,” the Commission explained. “What Google has done is illegal under EU antitrust rules. It denied other companies the chance to compete on the merits and to innovate. And most importantly, it denied European consumers a genuine choice of services and the full benefits of innovation,” EU competition commissioner Margrethe Vestager told a news conference. “When you shop online, you want to find the products you’re looking for quickly and easily. And advertisers want to promote those same products. 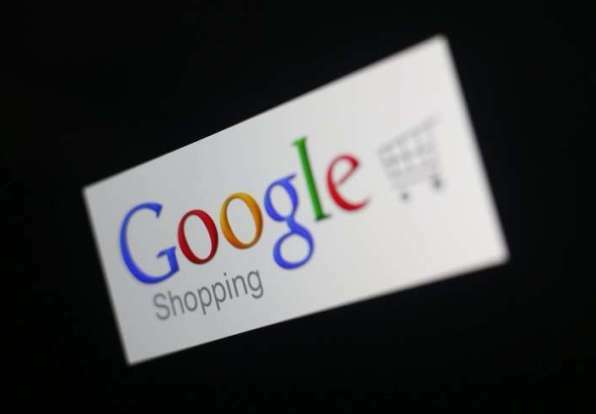 That’s why Google shows shopping ads, connecting our users with thousands of advertisers, large and small, in ways that are useful for both”, Kent Walker, the company’s senior vice president, said in a statement. “We will review the Commission’s decision in detail as we consider an appeal, and we look forward to continuing to make our case,” he added. The fine is the highest ever imposed for anti-competitive behavior in Europe, beating the sanction of EUR 1,060 million to chipset manufacturer Intel in 2009. According to Vestager, the Commission’s investigation, which began in 2008, looked at some 1.7 billion searches and found that Google Shopping rivals only appearing on average on the fourth page of searches by Google. Vestager said that 90% of the clicks are made on the first page. The investigation has determined that Google dominates Internet searches in the 31 countries in the European economic area, Vestager said. This will affect other causes that the commission could initiate against the different businesses of the technology giant, such as Google Images.